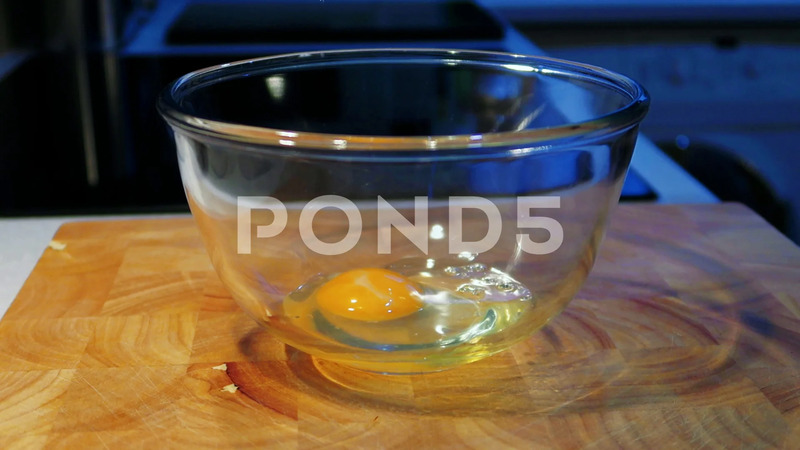 Cracking 3 Fresh Eggs Into A Glass Bowl. You See A Mans Hand Briefly. Description: Cracking 3 fresh eggs into a glass bowl. You see a mans hand briefly.